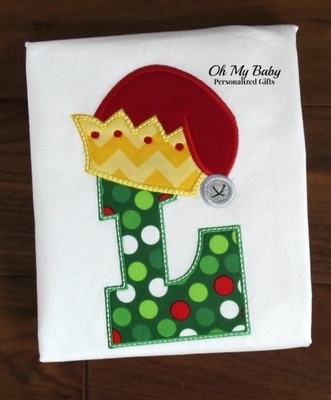 Personalized Christmas shirt. Fun elf hat monogram applique. Other sizes and colors available upon request.